Pracaxi oil is an extraordinary oil used medicinally by indigenous Amazonian populations. It's properties include antibacterial, antiseptic, anti-fungal, anti hemorrhagic and anti-parasitic. Pracaxi Oil may be beneficial for reducing the appearance of hyperpigmentation, age spots, sun spots, scars and stretch marks. Neroli essential oil is known for its ability to regenerate the skin cells and improve the elasticity of skin. 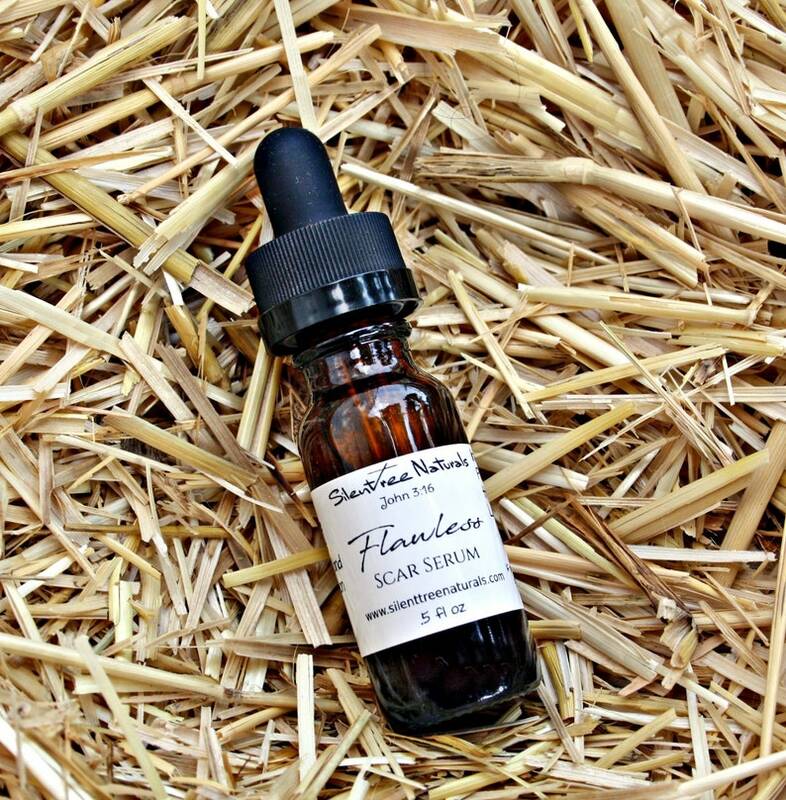 Due to its ability to revive skin at the cellular level, it can be beneficial for wrinkles, scars and stretch marks. Lavender essential oil also promotes skin cell activity and regeneration, and because of its antimicrobial compounds, speeds the healing of burns, cuts, scrapes and wounds. Copaiba essential oil heals the skin and infuses the body with powerful nutrients that can eliminate the appearance of blisters and marks. Vetiver essential oil contains cicatrizant properties which speeds up the fading of scars/marks on the skin and also promotes the growth of new tissues in the affected areas. Though it's never too late to start a daily regimen to reduce scars and/or stretch marks, it does takes time. Regular application is needed and it may be necessary to continue 3-6 months. To use: Massage the serum into the area of concern twice a day.